As part of Evie’s Farmer’s Market birthday party, there was a little ‘flower stall.’ There were buckets of real flowers, paper flowers and felt flowers- the kids loved it! And I wish I would’ve taken pictures of some of the beau-ti-ful bouquets that they made us that morning- they were both adorable and hilarious at the same time. 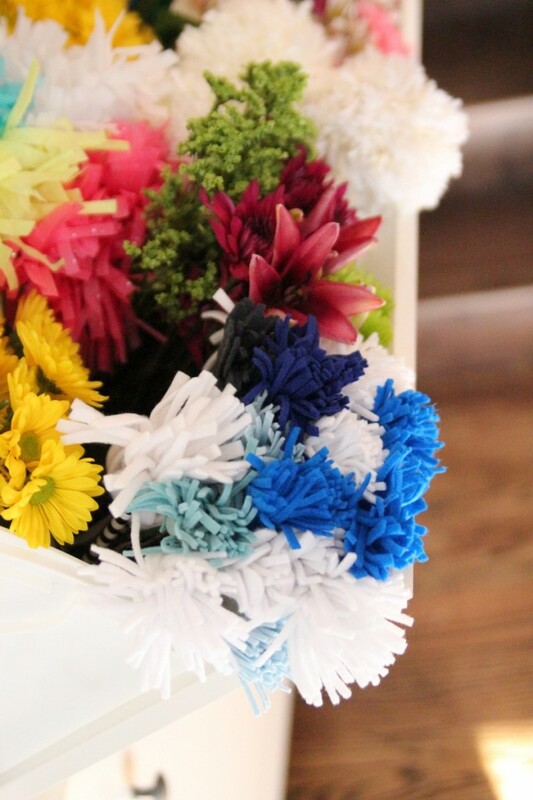 The felt flowers were pretty easy to make and also look great, so I thought I’d put together a little how to. 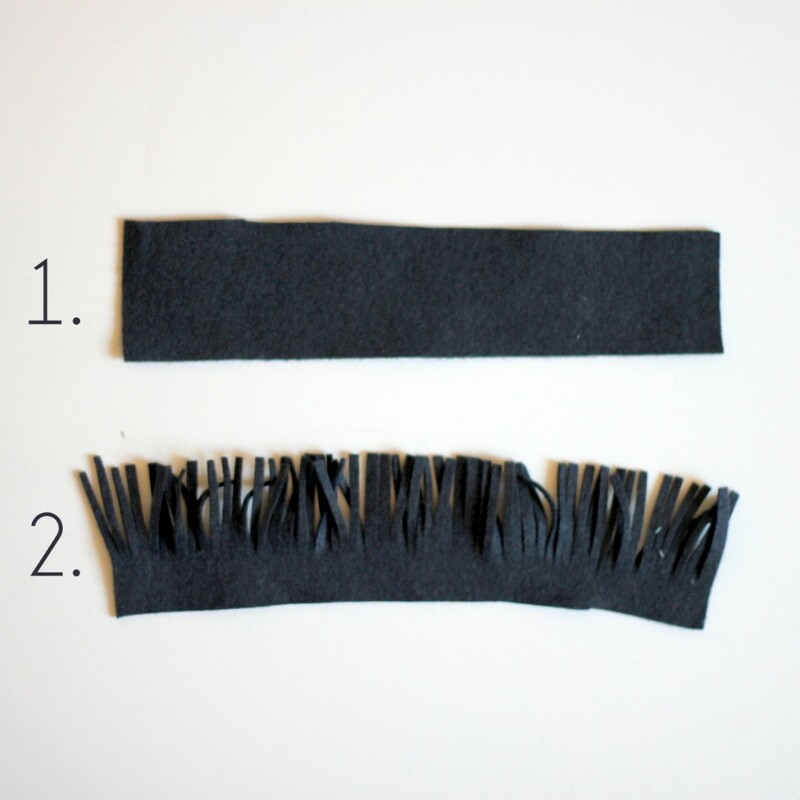 First cut your wool felt into 2″-3″ wide strips. 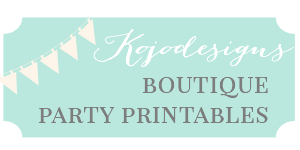 I used the 9″x12″ felt sheets, so mine were all about 12″ long. Fringe one edge of the felt strip. The smaller/finer your fringe, the better. *Note about the felt- I used both wool felt and synthetic felt (like the kind you can buy at Hobby Lobby or Joann’s). As usual, I liked the way the wool felt held up way better. It’s just so lovely to work with! If I did it again, I’d only use wool felt. Start rolling one end of your felt strip. Once you’ve rolled a couple of times (to leave room in the middle to stick a pencil/stem), start adding hot glue to the solid, non-fringed side. 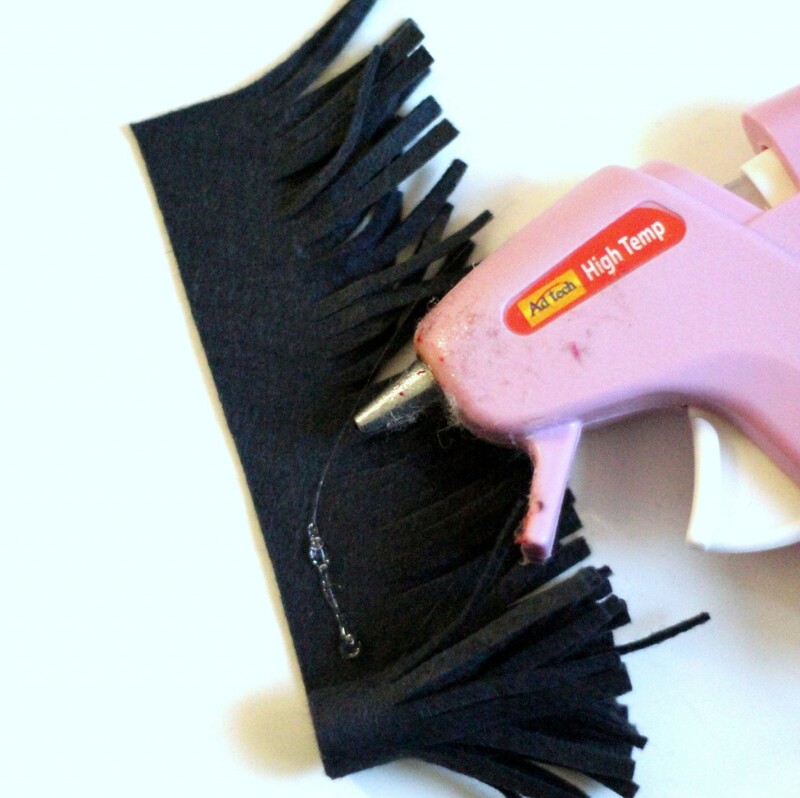 Keep rolling and gluing until the entire felt strip is rolled up into a fringed tube. 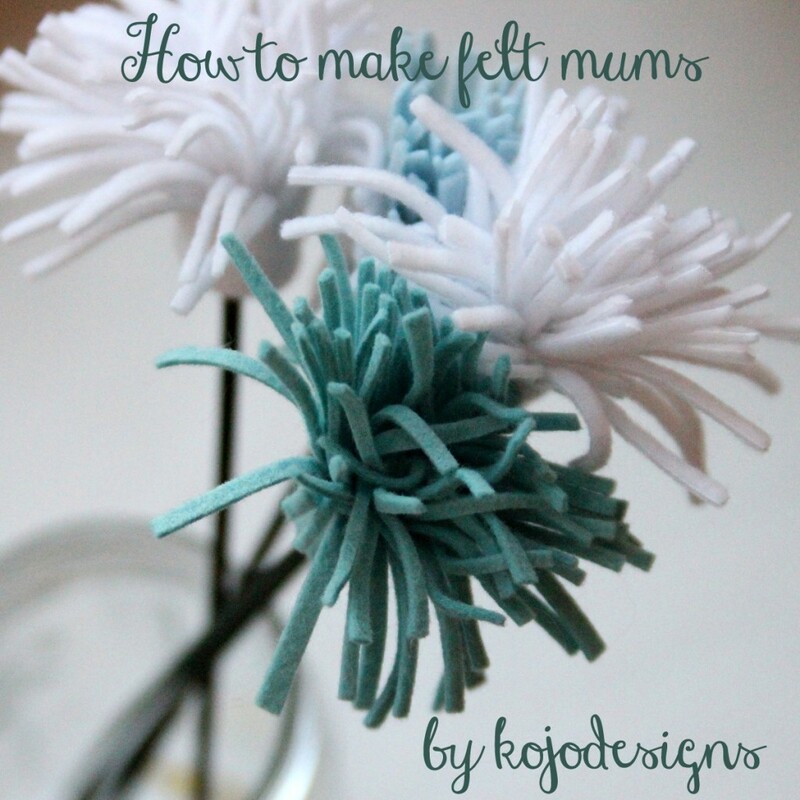 Shake to fluff, add a floral stem or pencil to the center (we did both) and repeat until you have enough felt ‘mums’ to make a bouquet. 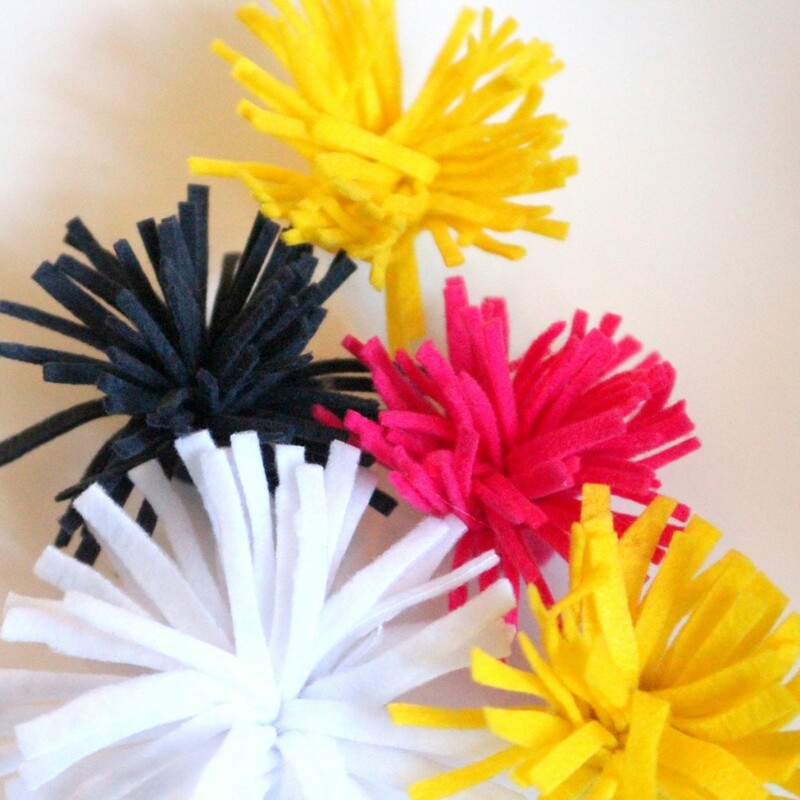 And if you’re looking for more felt flower ideas, check out 49 more more fabulous fabric flower tutorials here! These are so pretty so I’ll need to make these for my vases!! Thanks so much!! I work in a senior center & was looking for easy but sophisticated project. 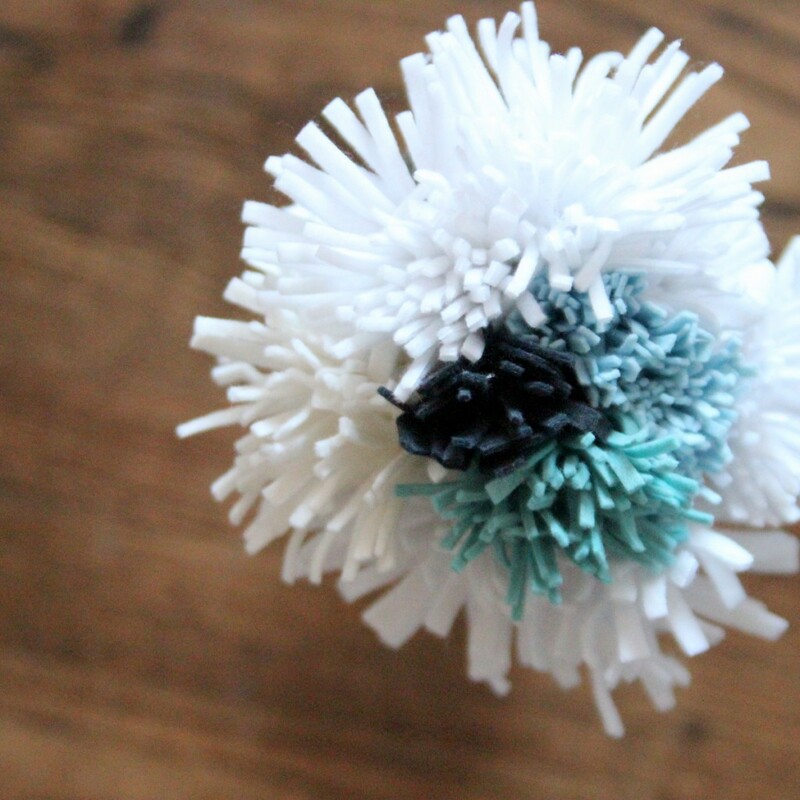 I can’t wait to see how they can accomplish making these flowers.